'Concrete Jungle' is featuring video works curated by Alexandra White. 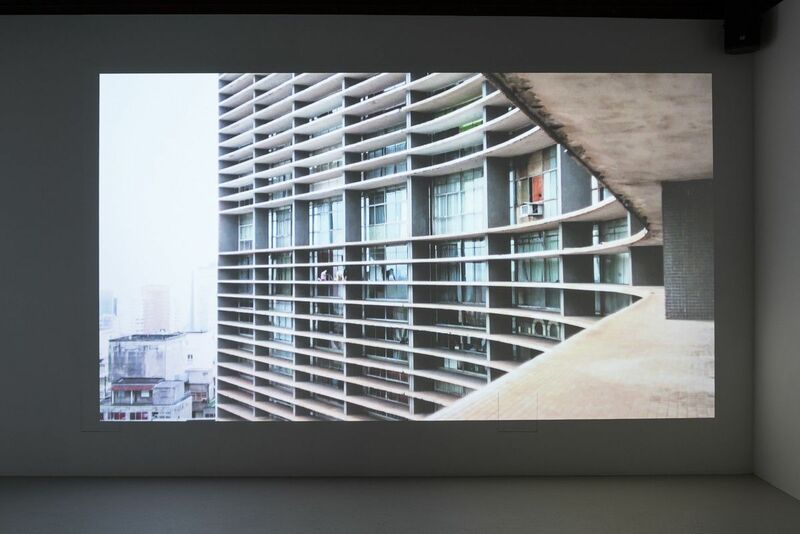 The videos will highlight two Brazilian concrete edifices by modernist architect Oscar Niemeyer, and will include works by Tamar Guimarães, and collaborative videos by Michelle Williams Gamaker and Julia Kouneski. Annka Kultys is pleased to present CONCRETE JUNGLE, an exhibition featuring video works curated by Alexandra White. Set within the iconic concrete architecture of the Brazilian Modernist architect Oscar Niemeyer, the works on view explore the physical and psychological boundaries between the human and architectural body within the specific context of Brazil. 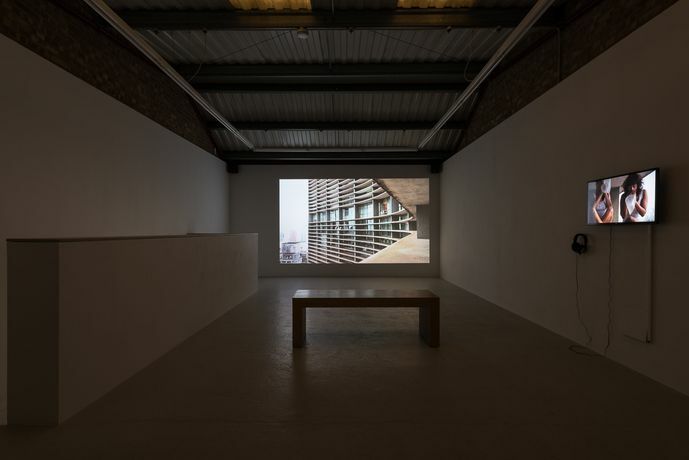 Concrete Jungle includes work by Copenhagen -based Brazilian video artist Tamar Guimarães, as well as collaborative videos by the artists Michelle Williams Gamaker and Julia Kouneski. As its title suggests, the exhibition plays with a series of dichotomies: concrete/jungle, man-made/nature, reality/fantasy. The most obvious juxtaposition, however, lies in contrasting the two buildings that serve as both backdrop and theme within the works. The Copan building, featured in Williams Gamaker and Kouneski’s Scaling Copan (2009) and Sensitising (plastic bags) (2009), is a monumental 38-story residential building in São Paulo, designed by Niemeyer in 1951, while Casa das Canoas, the setting for Guimarães’ Canoas (2010), was the architect’s family home, constructed the following year, 1952, in the arboraceous outskirts of Rio de Janeiro. At the time of the buildings’ construction, Brazil aspired to be a Modernist utopia led by Niemeyer’s and fellow architect and urban planner, Lucio Costa’s, government-backed plans for the development of the new greenfield capital Brasilia, located on a tabula rasa in Brazil’s hinterland with its catchy slogan “fifty years in five.” Out of this passion for progress came the shiny, undulating addition to São Paulo’s skyline, the Copan building, a social housing project intended to transcend class barriers and become the height of urban living. Niemeyer, however, despite the urban-centric focus, preferred to build Casa das Canoas as his own home on the periphery of bustling Rio to escape the anxieties of city life, in the more natural setting of Barra da Tijuca, a would-be tropical paradise. Yet this era of accelerated industrialisation and socialist dreams, known as Brazil’s “Golden Age,” was cut short by the military coup of 1964 which installed a torturous dictatorship lasting two decades. 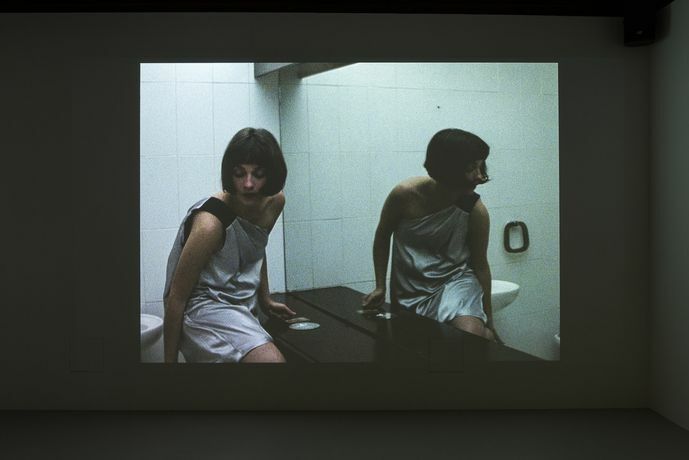 Influenced by the work of Brazilian artist Lygia Clark, Williams Gamaker and Kouneski have worked collaboratively to produce two performative video pieces. In Scaling Copan the artists — on hands and knees — scale the curvilinear ledge of the 22nd floor of the Copan building. The anxiety-inducing performance lays bare the rawness of sensation; the climax being the point at which the artists dangle their feet over 22 floors. A second work from the series, Sensitising (plastic bags), is a five minute video of the artists on the same ledge breathing into plastic bags. An act reminiscent of hyperventilating, this work draws directly from Clark’s therapeutic practice, and her desire to abolish the borders between subject and object. The bag, for Clark, functions as an extended skin or connective tissue. In Guimarães’ 16-mm film Canoas, Niemeyer’s home is the setting for a party as it unravels from beginning to end. With its large glass windows and distinctive Niemeyer curves, Casa das Canoas is on full display. The film shifts between discussions amongst invited guests — friends of the artist, academics and politicians — that range from Modernist architecture to the military dictatorship via the quality of Brazilian champagne. 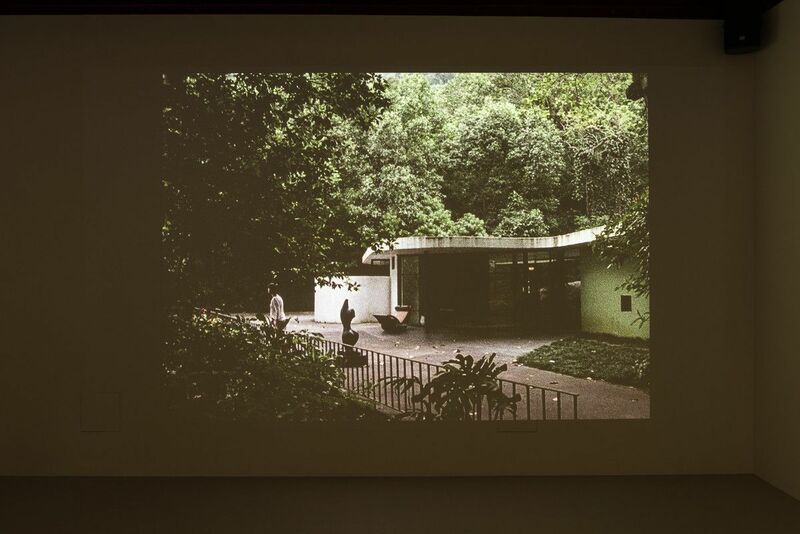 In one conversation, for example, guests lament the tendency for Brazilian Modernism to build luxury homes (such as Casa das Canoas) for the wealthy — on the backs of an underpaid labour force – rather than implementing the utopian vision of supplying social housing for the masses. While the guests discuss issues of race and class in Brazil, in between spurts of dancing and hanging out by the pool, black waiters serve champagne and cocktails. Through highlighting the contradictions of the intellectual elite, Canoas challenges the notion of Brazil as an exotic paradise, as mythologised in the writings of the anthropologist Gilberto Freyre, in which desire transcends class and racial divides. CONCRETE JUNGLE is presented at a time when, not with standing the international focus brought by the 2014 World Cup and the 2016 Summer Olympics, the utopian possibilities of Brazil have once again become a distant memory. Today, Niemeyer’s structures are permanent reminders of the promise of Modernism but also of Brazil’s continued reliance on a political system where social hierarchies have exacerbated the distance between the Haves and the Have-Nots.